These are so cute they don't even need the lollipop stick to make them cute! 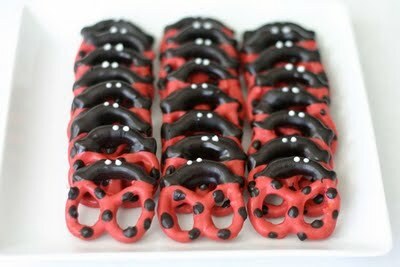 And even cuter, are these lady bug pretzels. You can check them out over at Bee in Our Bonnet and see the rest of the super cute ladybug party too! oh my goodness...these are so adorable! 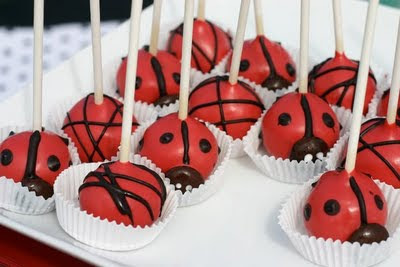 I love ladybugs! Very cute!I will have to do this. I thought these were strawberries, and I would like to try that but in any case, HOW CUTE! love. love. love. the pretzels!